MeanStreets rallied to make Peach Jam after a slow-start, and Brandon Newman turned into their leader along the way. 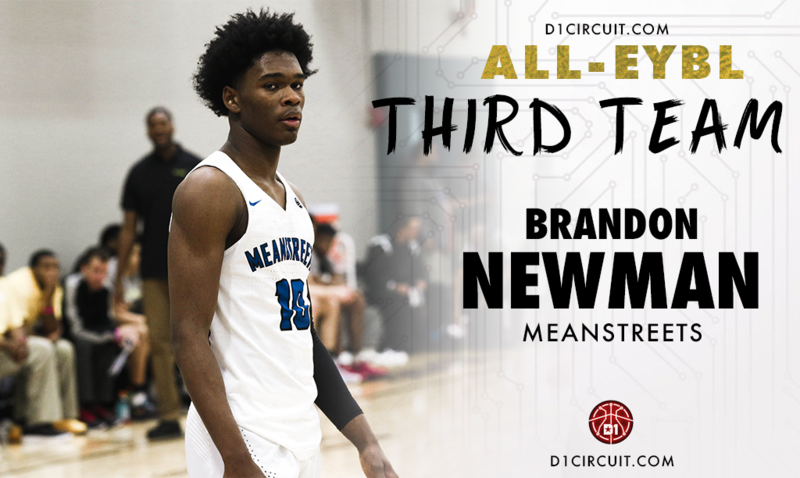 Newman proved to be one of the top offensive weapons in the 2019 class, converting at a 90% clip from the line while hitting three or more three-pointers in 13 games. Newman shot 40% from behind-the-arc in 16 games, and MeanStreets wouldn’t have won eight games without that efficiency. 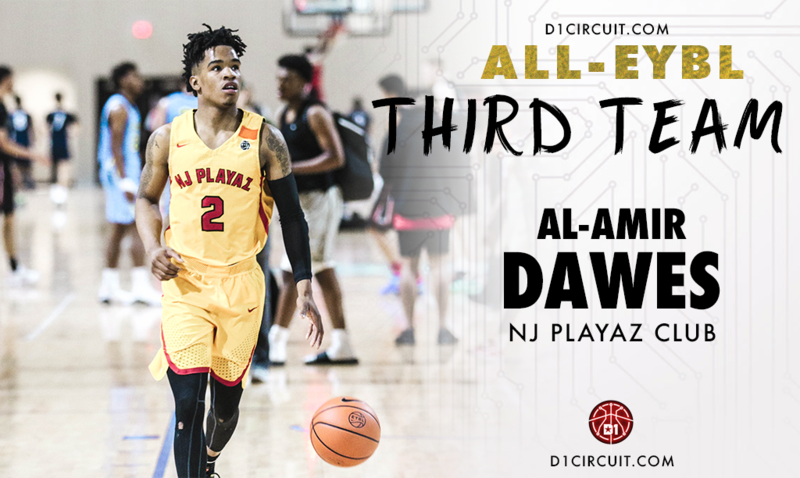 Al-Amir Dawes is one of the most underrated players in the country. Dawes willed the Playaz to the Peach Jam, averaging 17 points, four assists and three rebounds in 16 games. Dawes has a solid supporting cast surrounding him, but this team would be lost without the 6-foot-3 guard. Dawes participated in New York’s Tri-City Classic in June, and left the crowd in aw. He scores, play-makes and is a showmen in the process. Dawes should continue to ascend up the individual player rankings, and his presence makes the Playaz a threat in July. 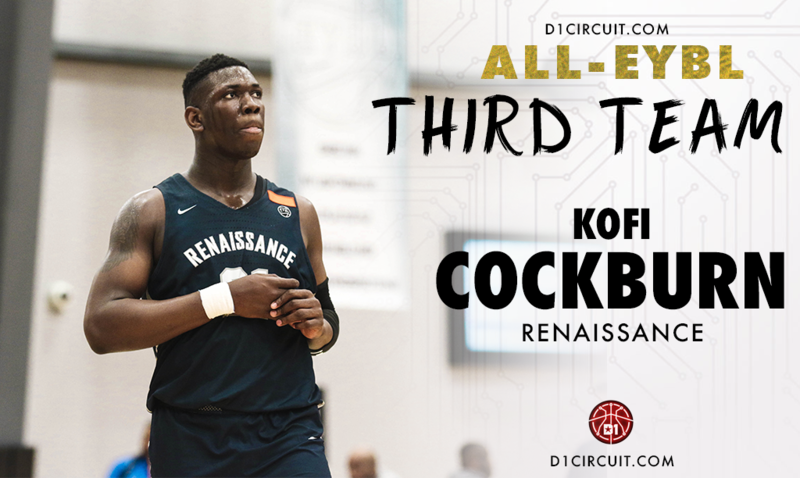 Kofi Cockburn had an impressive spring for the Renaiassance, averaging a double-double for head coach Andy Borman and company. Cockburn is elite at carving out space offensively, and scores at the rim at will. The 6-foot-11 center is a glass-eater on the defensive boards and consistently gets himself into good position on offensive misses. Cockburn is coming into his own at the perfect time, and the next step in his progression will be improving his passing ability and conditioning. 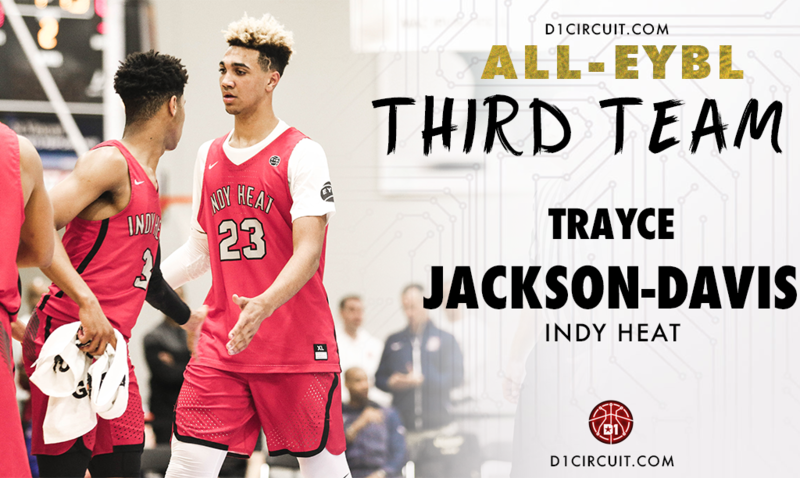 Just like his Second Team All-EYBL teammate Keion Brooks, Trayce Jackson-Davis is a stat-sheet stuffer. They form an elite 1-2 punch, and Jackson-Davis adds a high field goal percentage, lots of bounce and an evolving defensive skillset. Jackson-Davis Jackson-Davis averaged 19.3 points, 7.7 rebounds, 1.9 blocks and 1.5 assists while shooting a whopping 56.8 percent from the floor. He also proved to be extremely clutch, hitting two game-winners for the Indy Heat in 16 games. 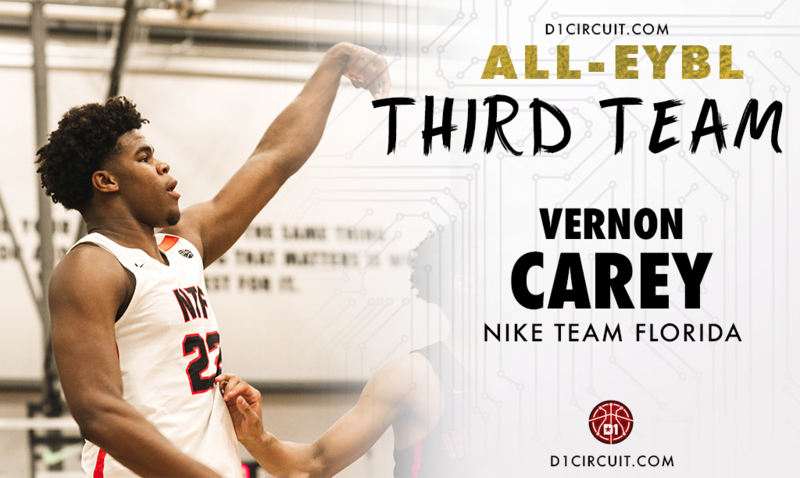 Vernon Carey is a top-three player in the country, so the bar is set very high for the Nike Team Florida big man. Carey was very consistent for Nike Team Florida, and posted some impressive numbers despite suffering a foot injury in Indianapolis. Carey faces intense defensive pressure more often than not, yet he’s maintained his efficiency (55.7 FG%) and scoring ability (18 PPG). Carey had a good but not great Peach Jam in 2017, and he’s capable of so much more. Carey is really, really good, and will be worth the price of admission for Peach Jam viewers.